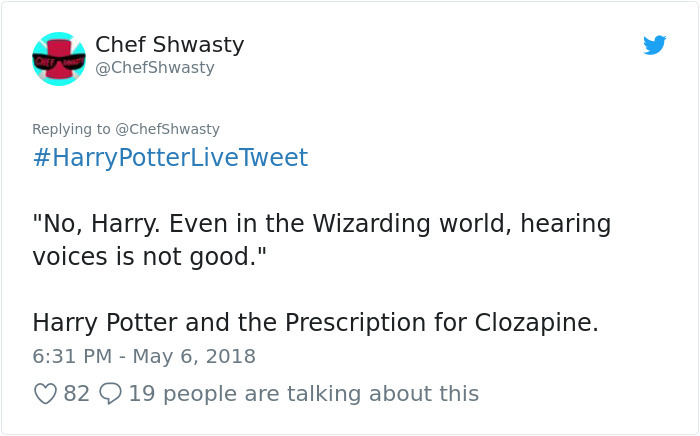 The Harry Potter franchise has become one of the most iconic phenomena in the modern day world and there’s hardly a single person who hasn’t heard of the wizard wonder. 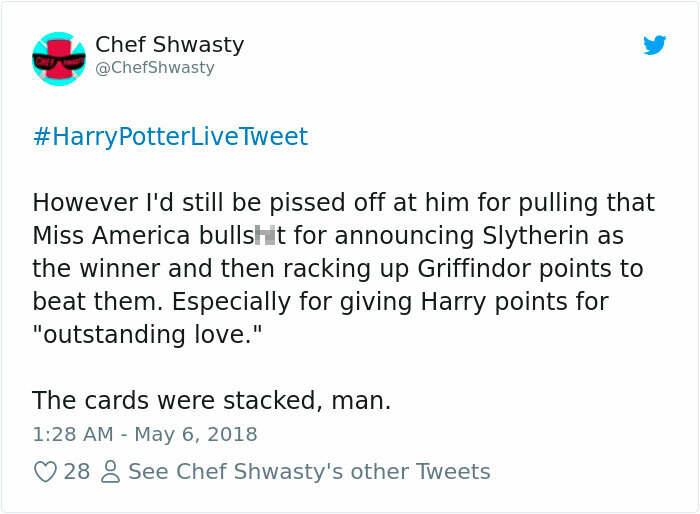 While not everyone has read the books, it’s almost certain that most of us have seen the movies. 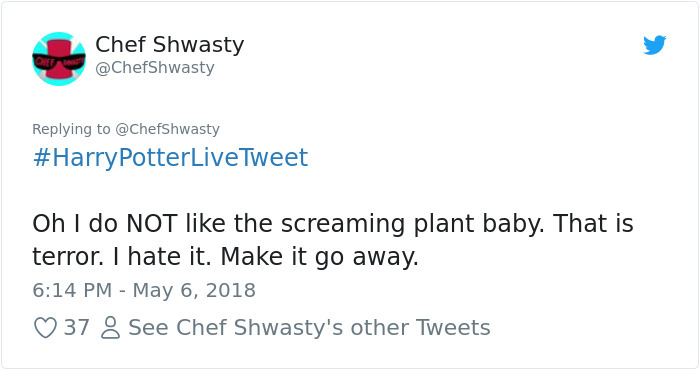 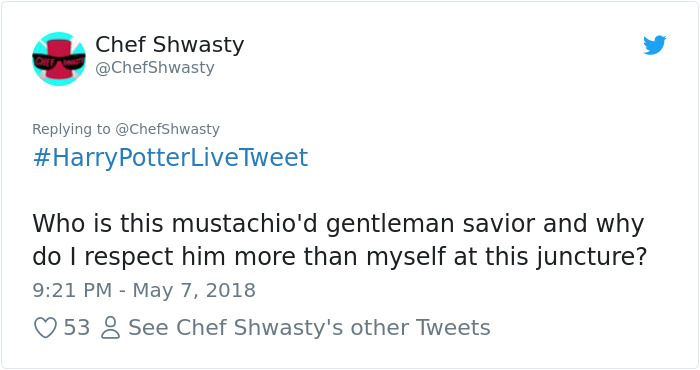 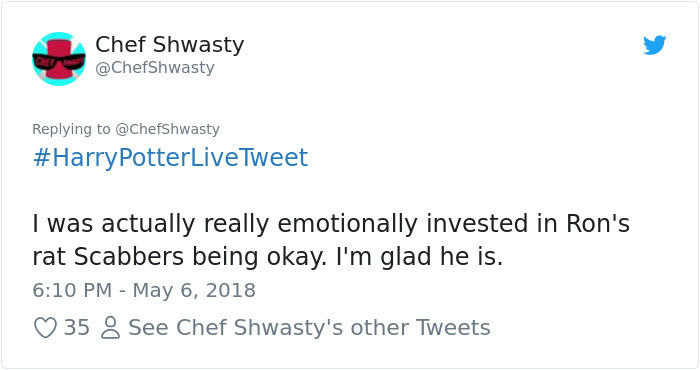 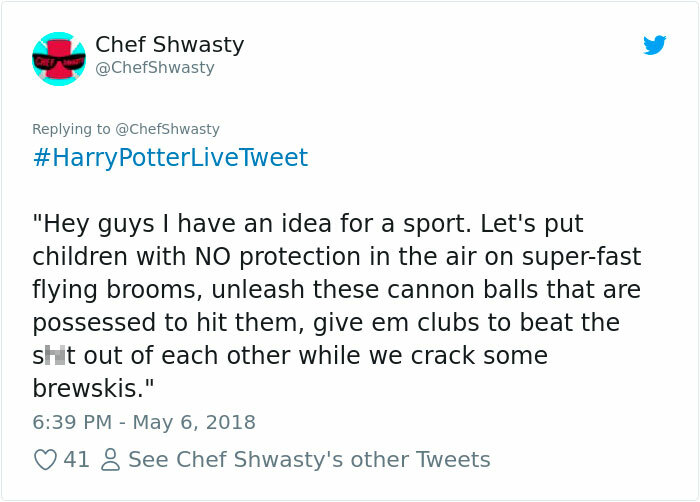 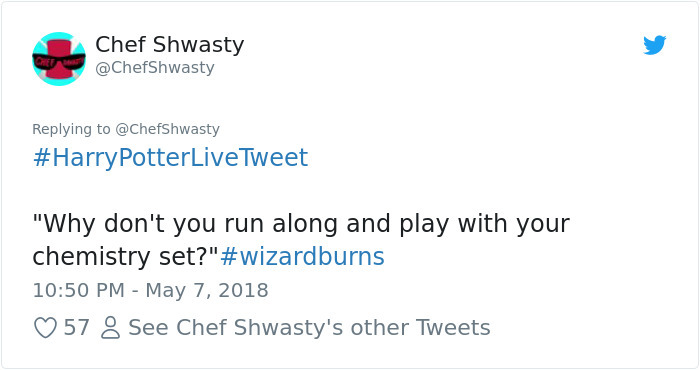 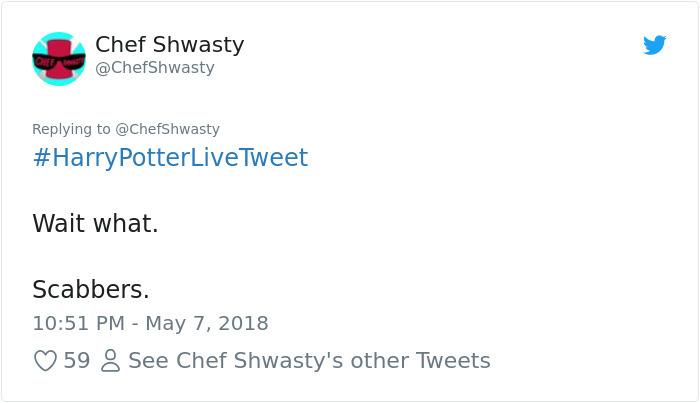 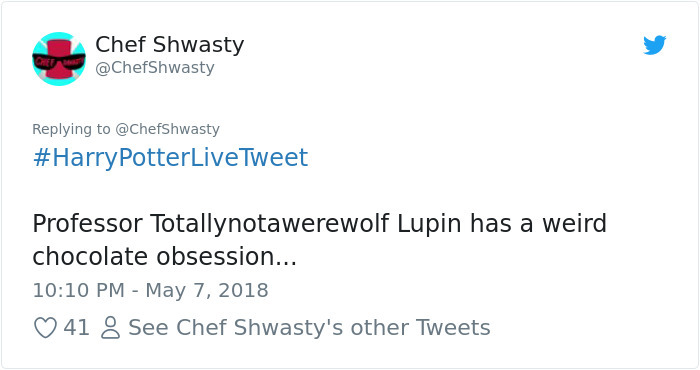 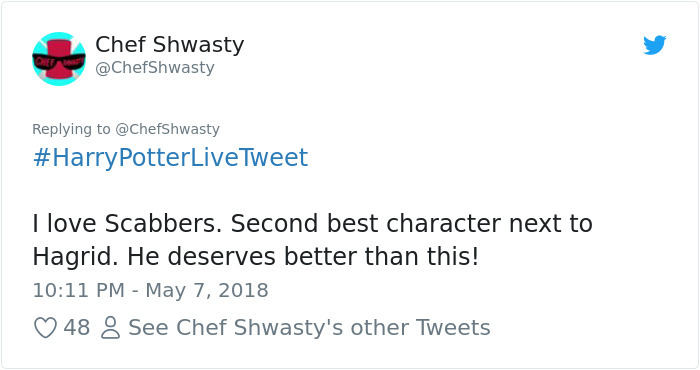 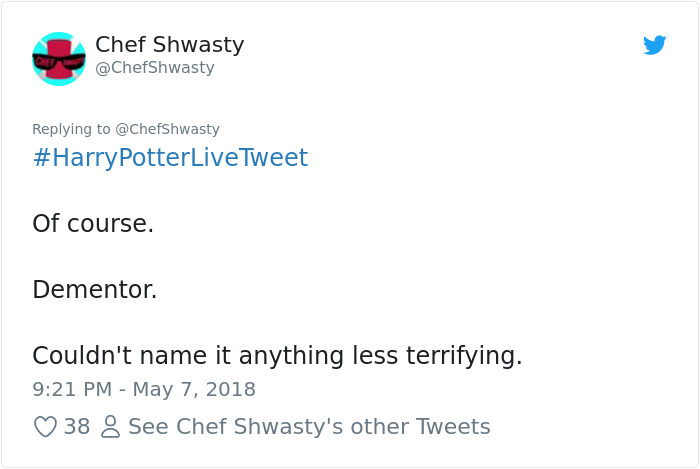 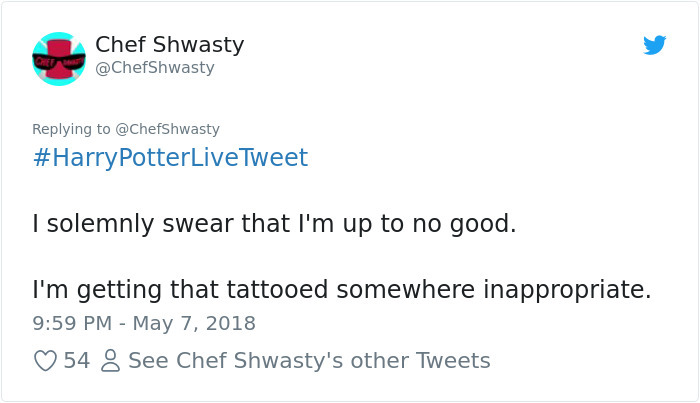 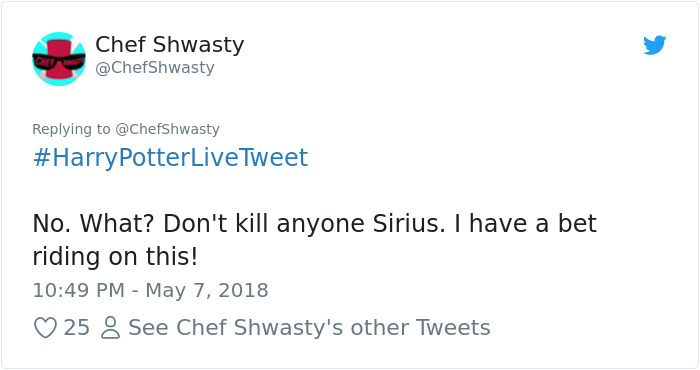 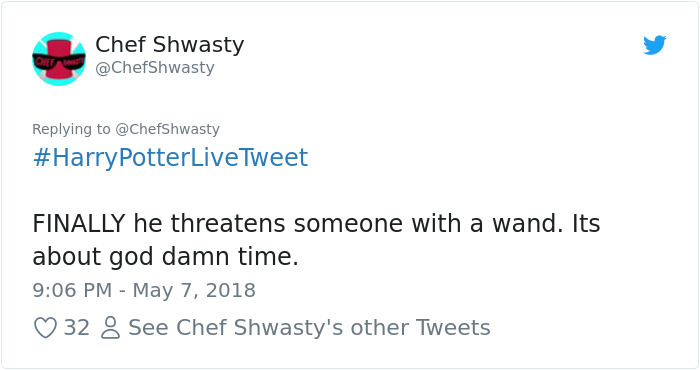 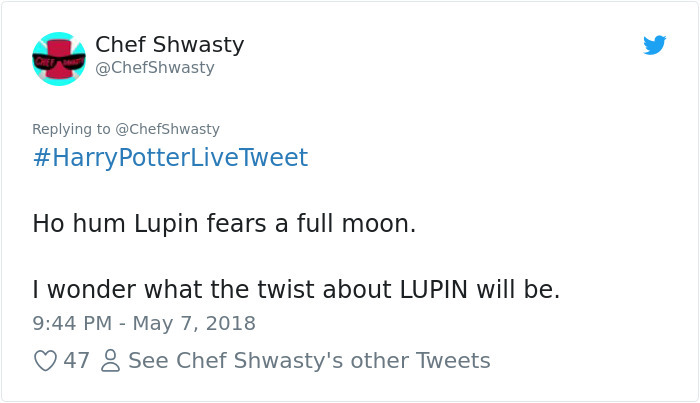 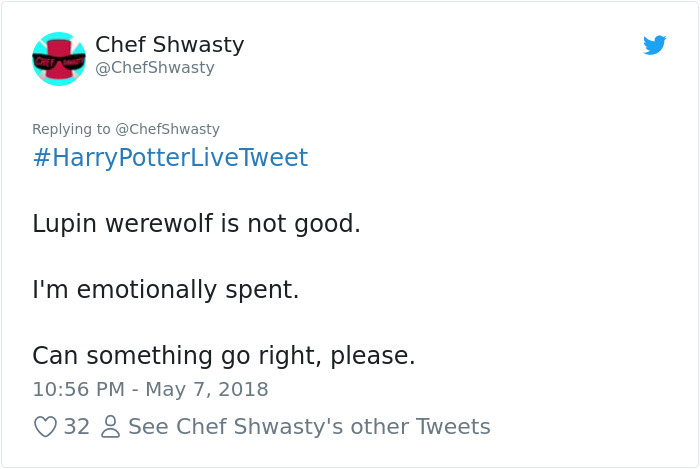 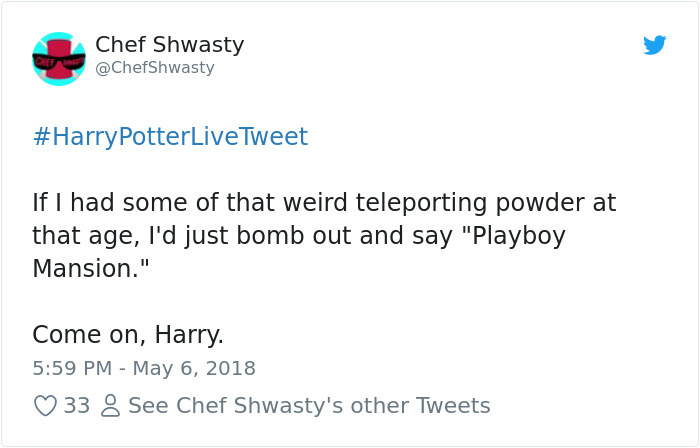 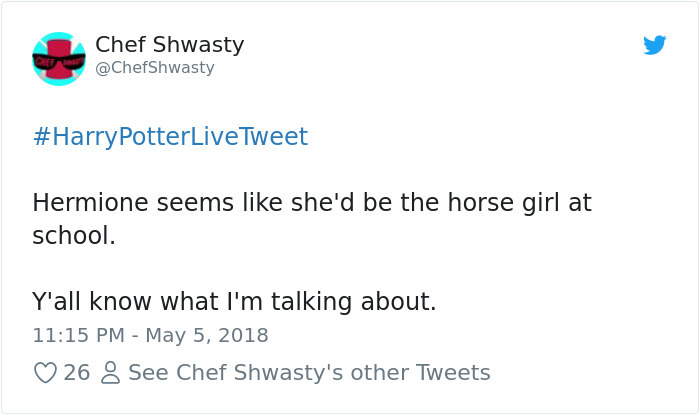 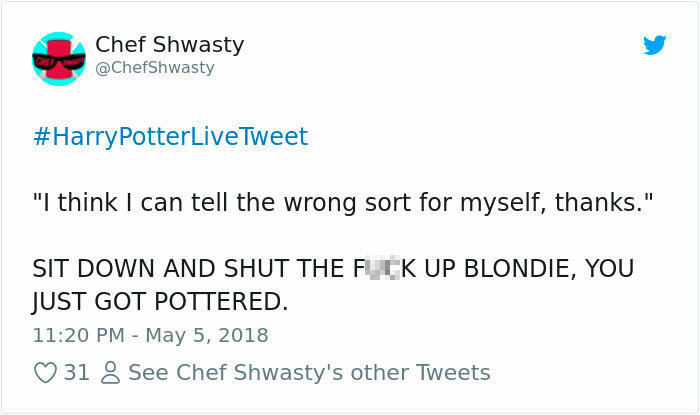 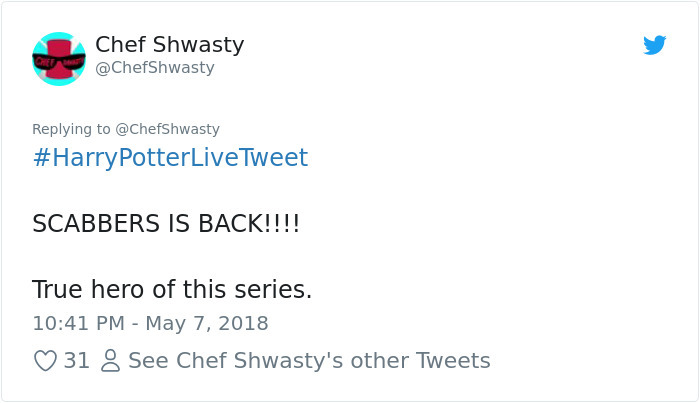 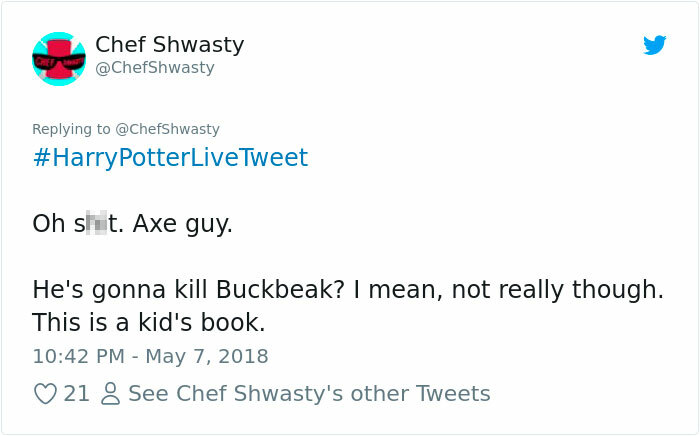 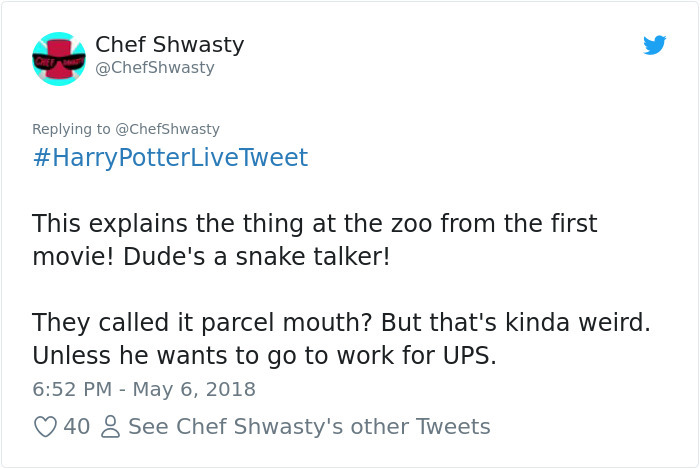 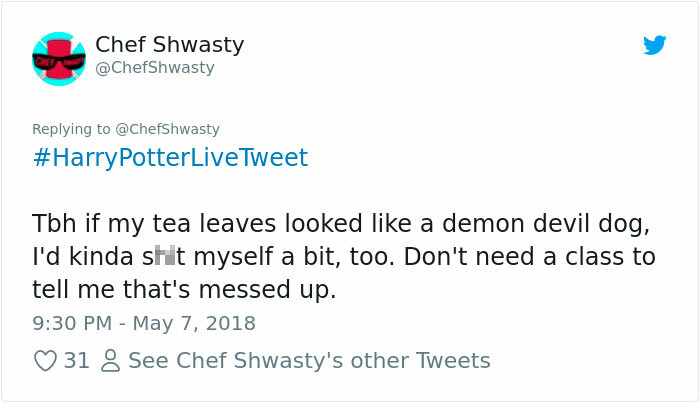 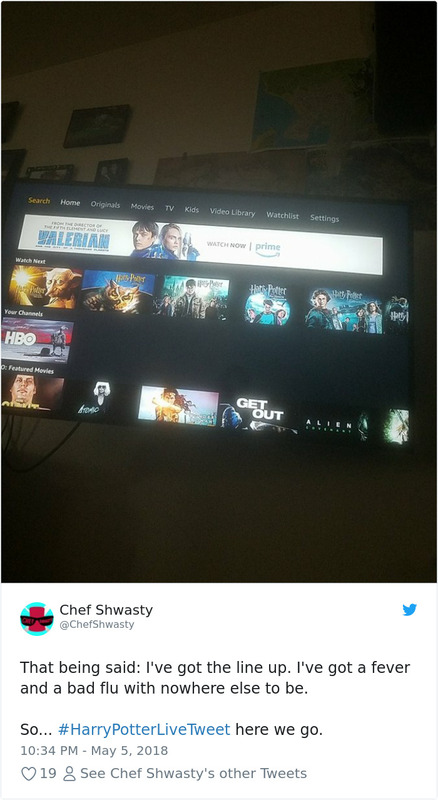 Well, not if you’re Twitter user Chef Shwasty. 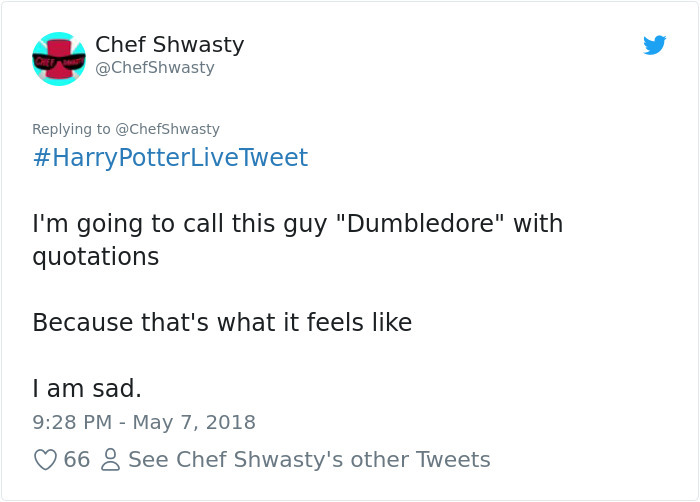 While he admits to being a geeky person, he’d never seen a single Harry Potter movie. 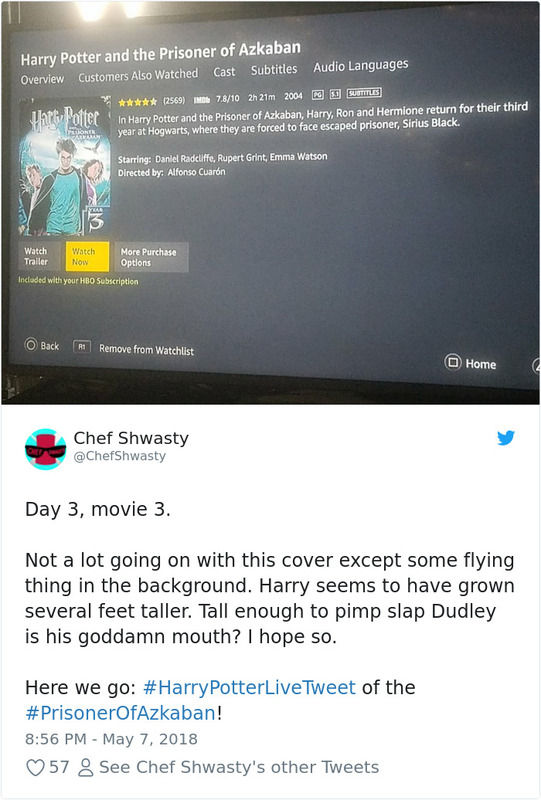 However, on May 5th, he decided to change it and, while in bed with sickness, watch all 8 movies. 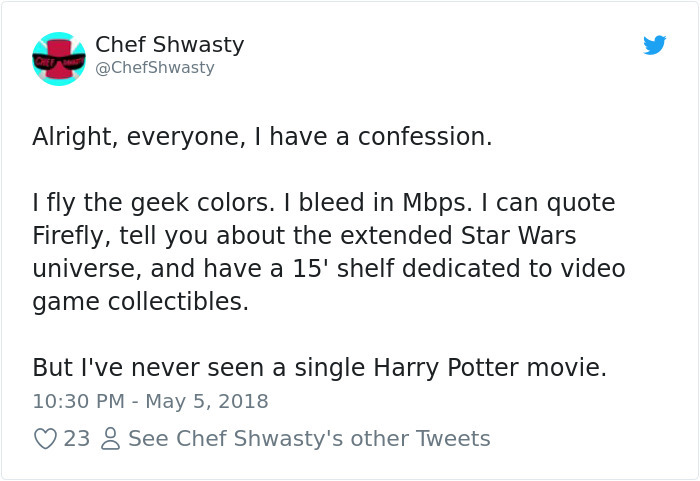 “Oh I’m 100% a geek. 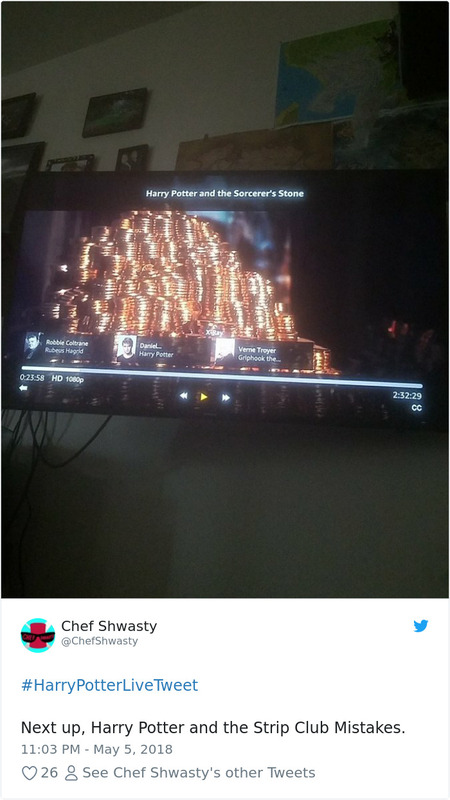 I have a backlit geek shelf with all my video game collectibles. 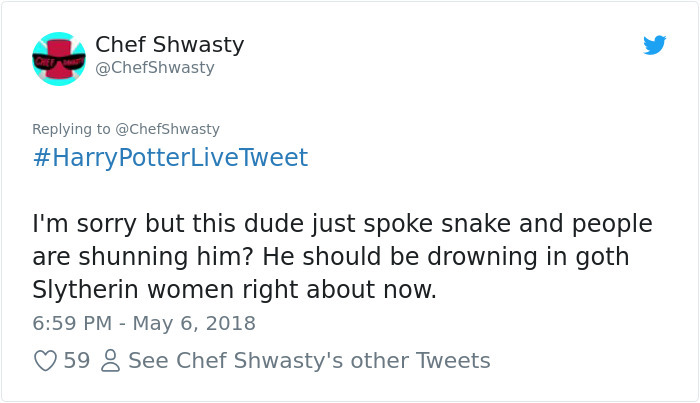 […] The reason I didn’t jump in is intimidation. 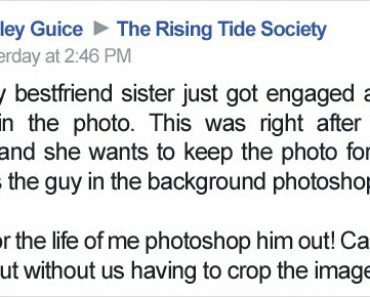 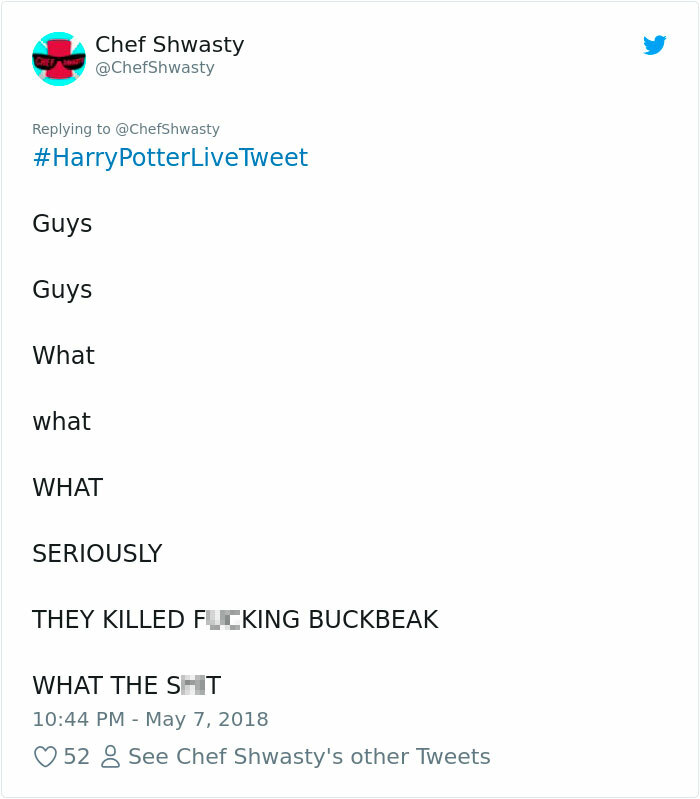 The fandom is so loyal and fierce, I thought that there was no such thing as a CASUAL fan. 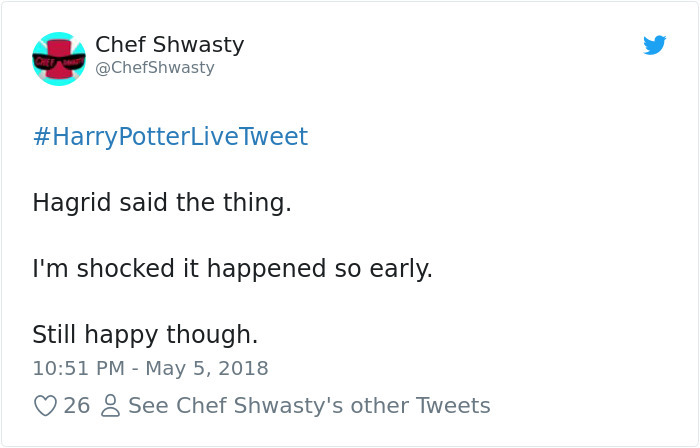 And so far, I’ve been right. 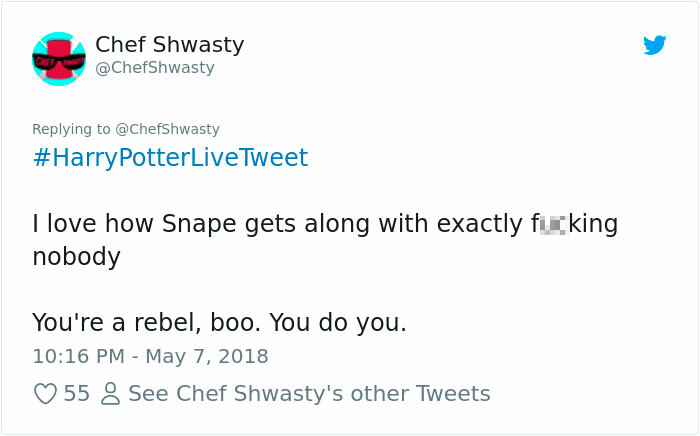 These people are fierce in their love for this universe, and their love isn’t misplaced,” he told Bored Panda. 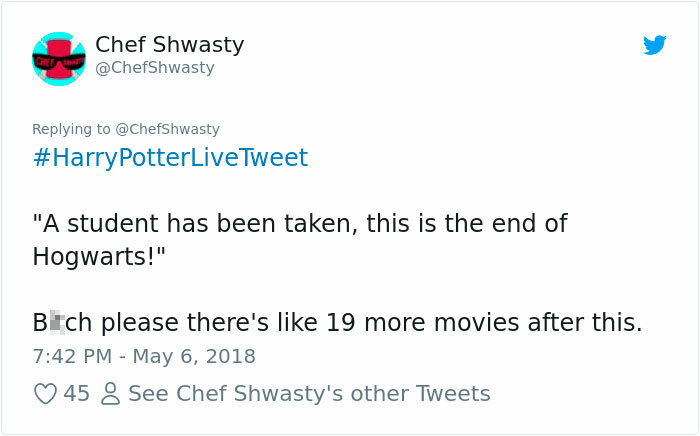 In regards to not watching the series earlier, Chef also revealed that time was also an important factor, “8 movies at 2.5 hours each? 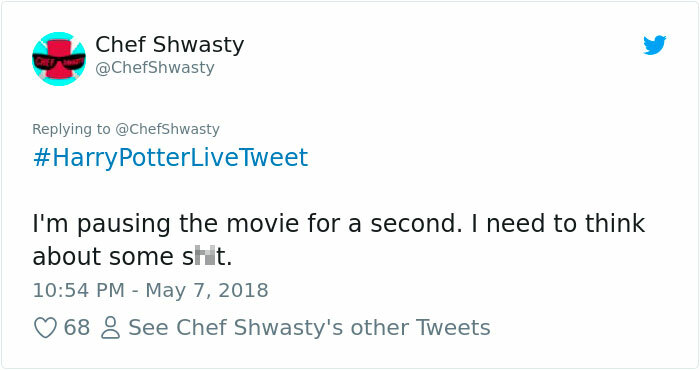 Big commitment,” he said. 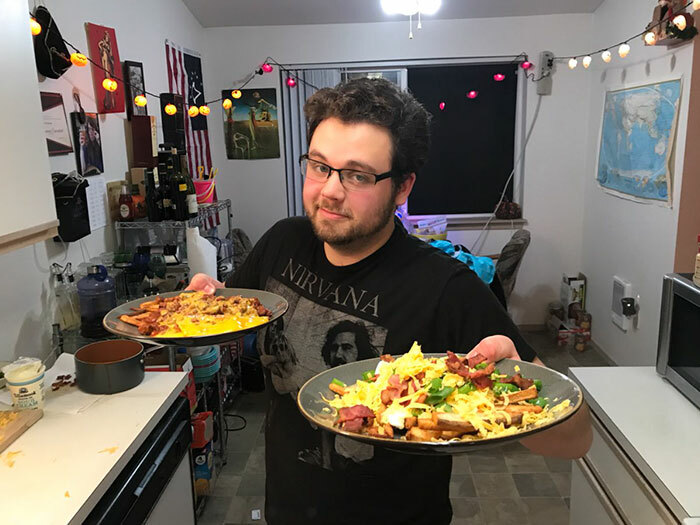 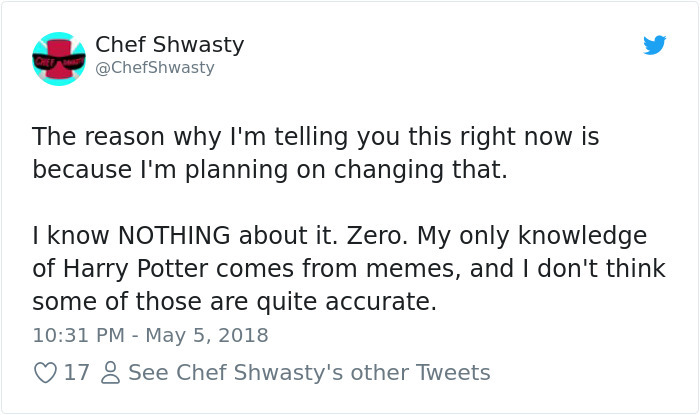 With only knowledge about the subject being internet memes Chef Shwasty offers some hilarious insight and a fresh look at the fantasy classic. 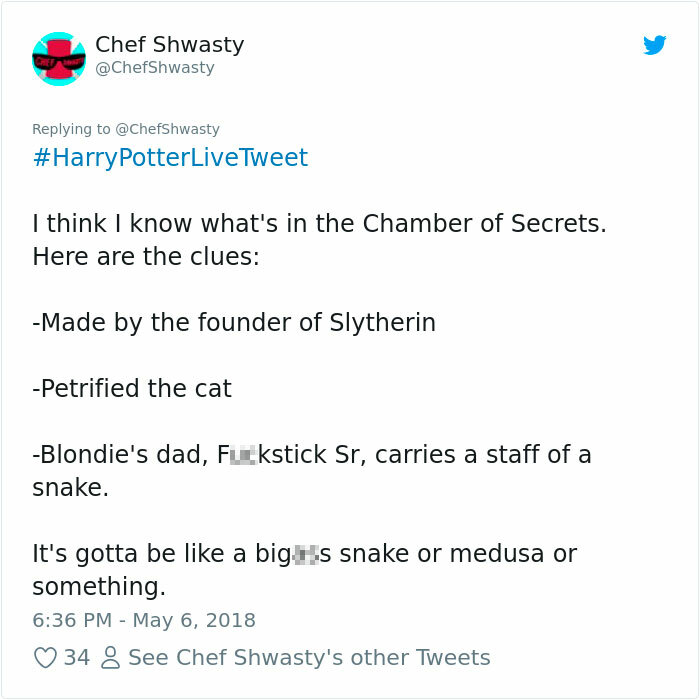 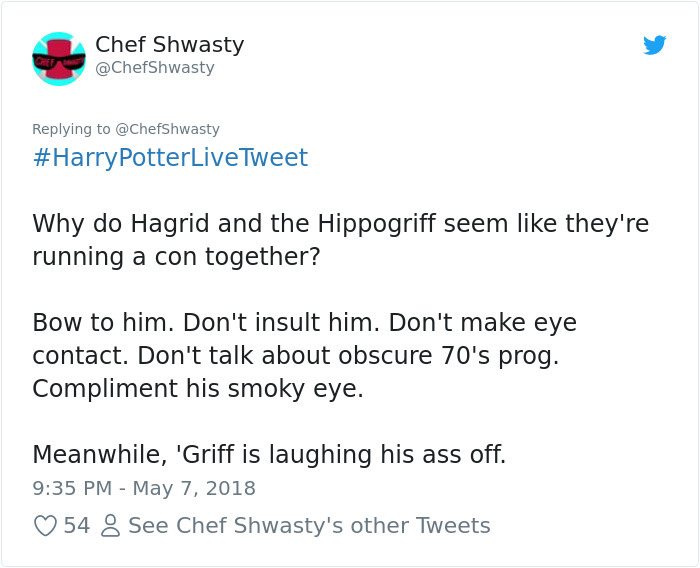 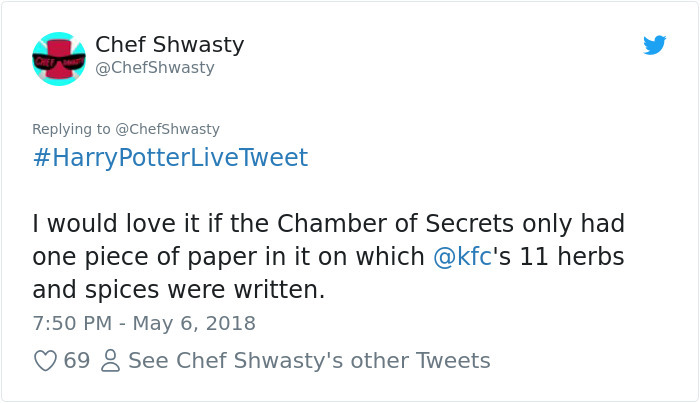 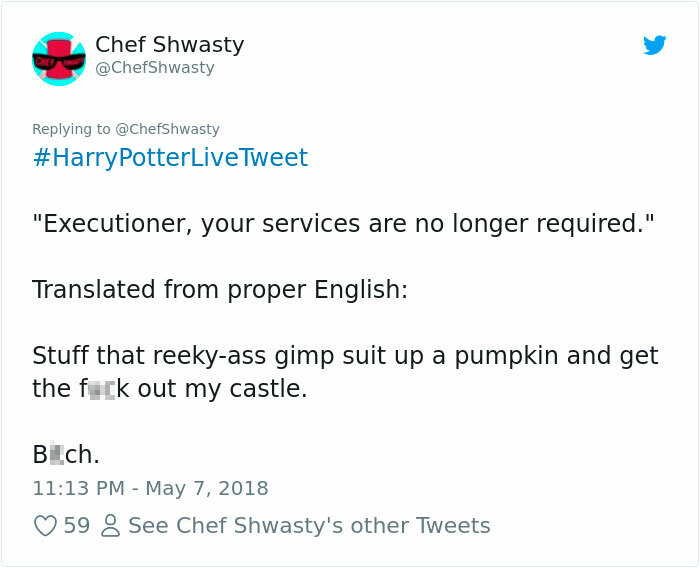 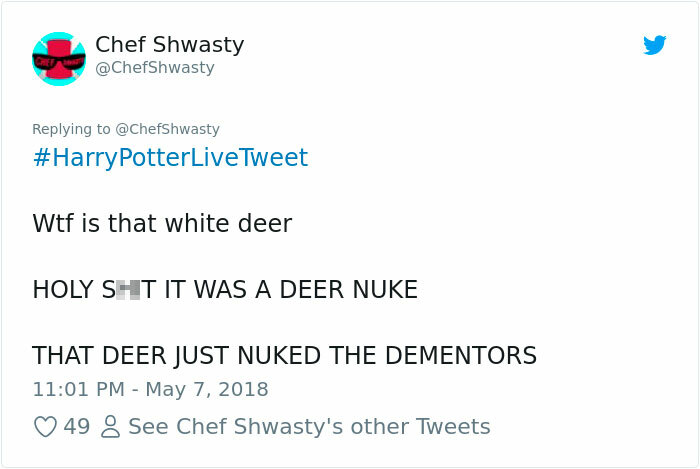 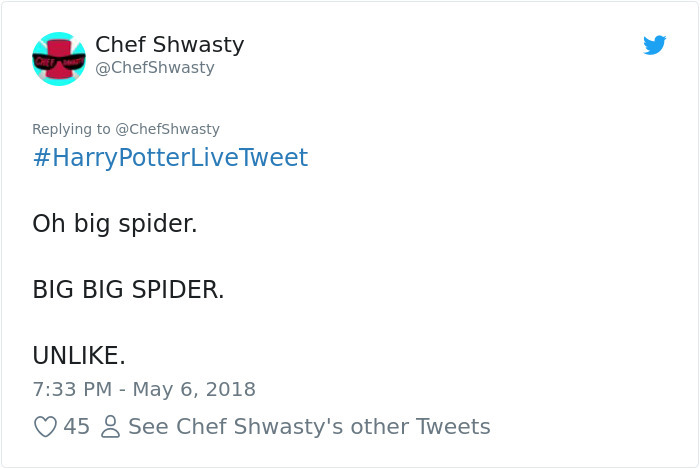 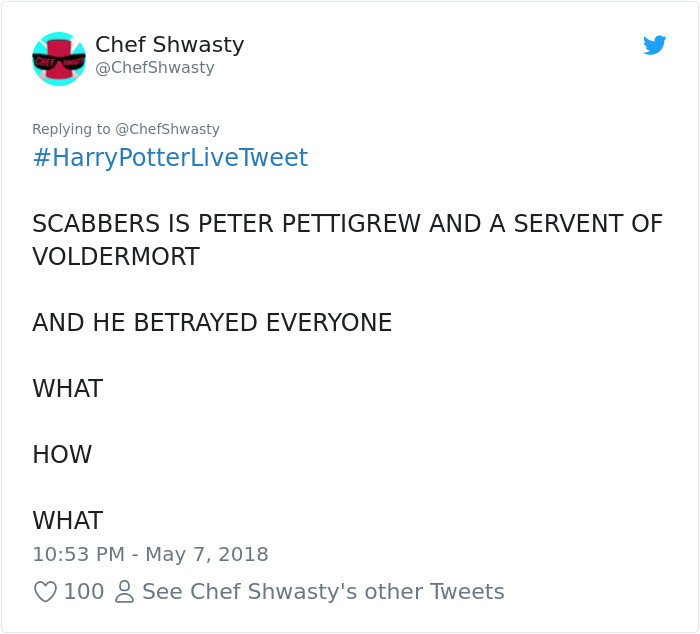 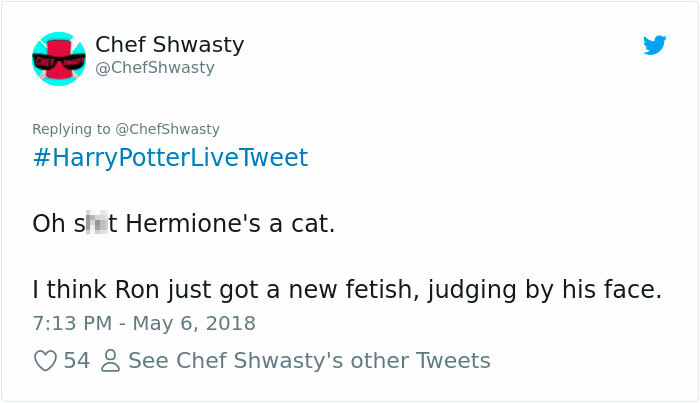 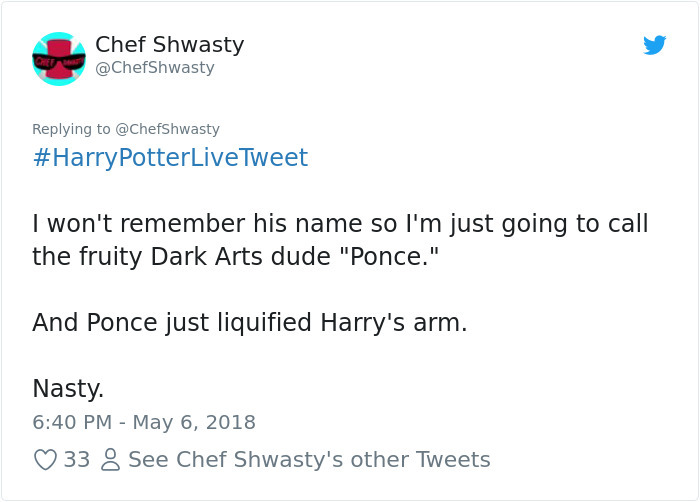 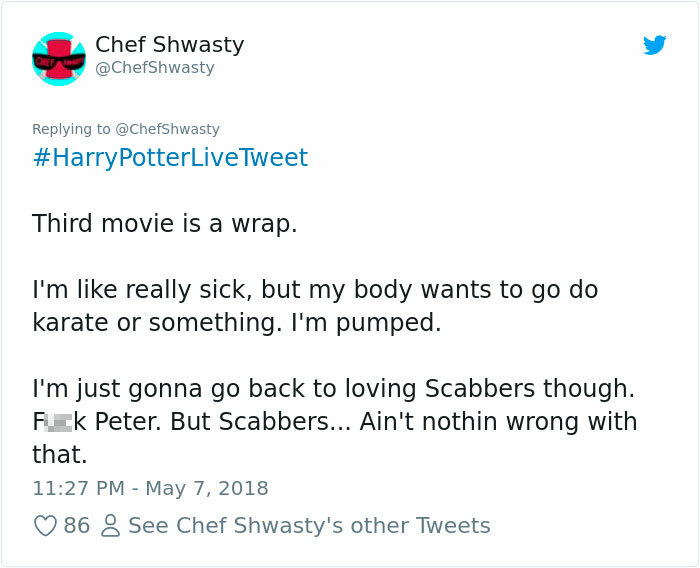 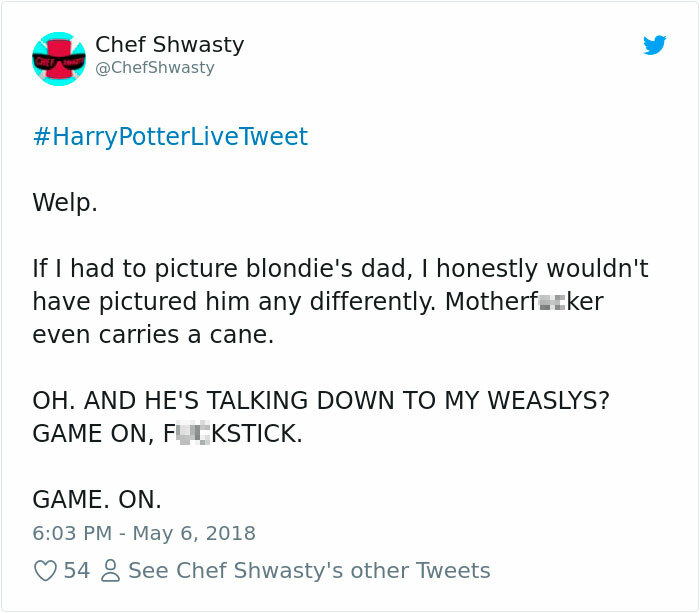 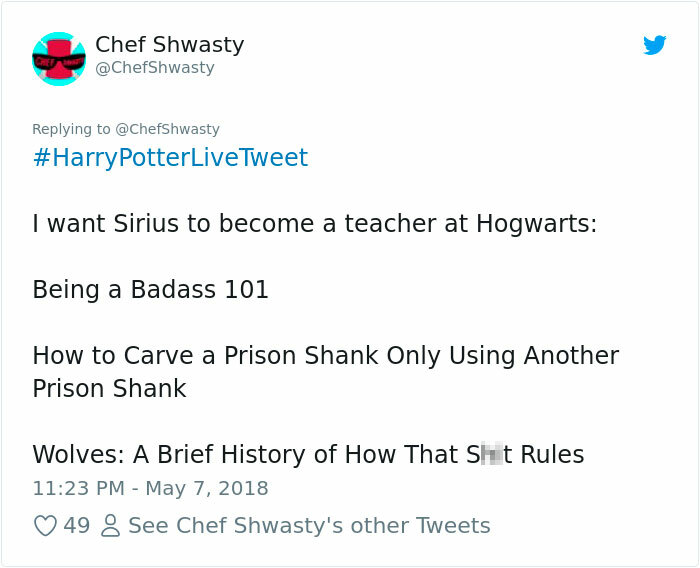 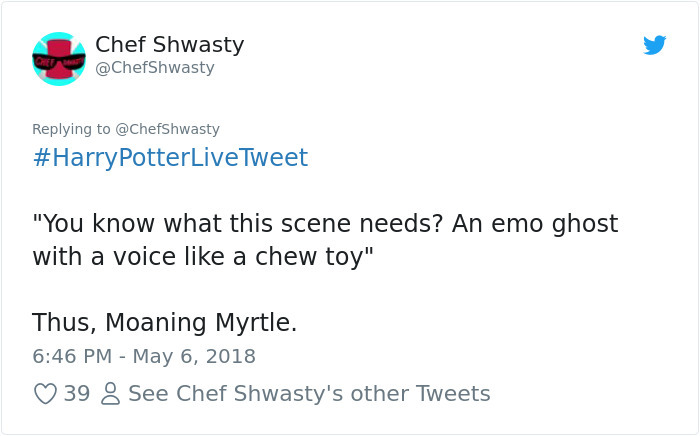 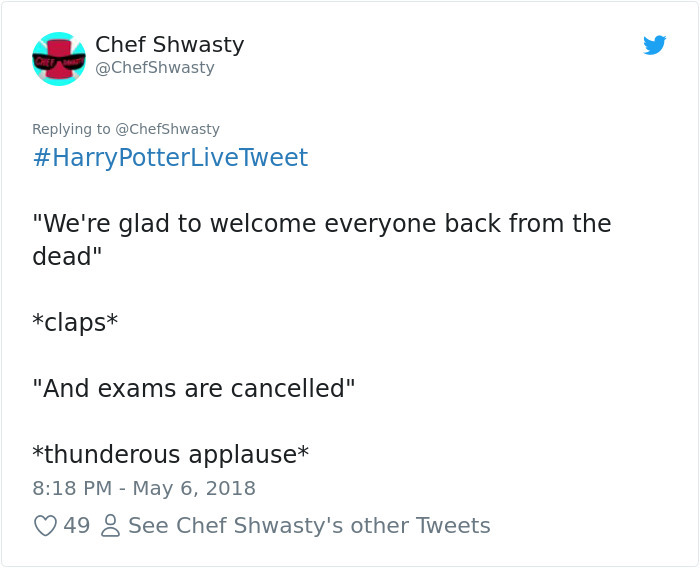 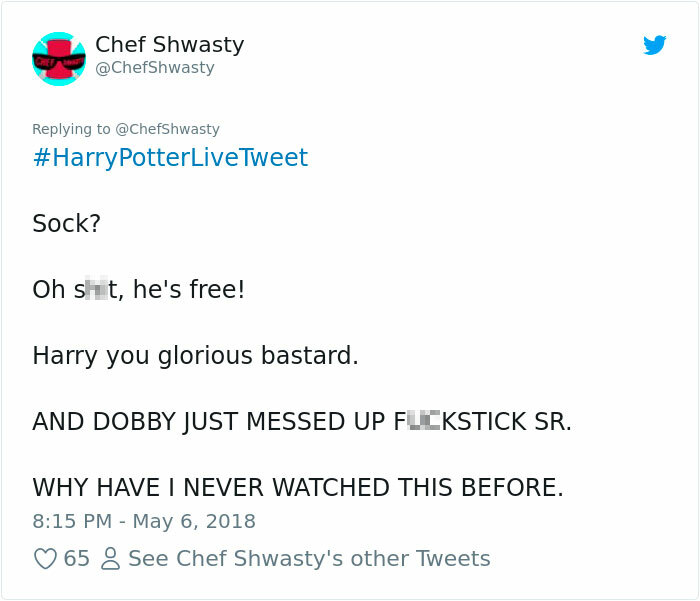 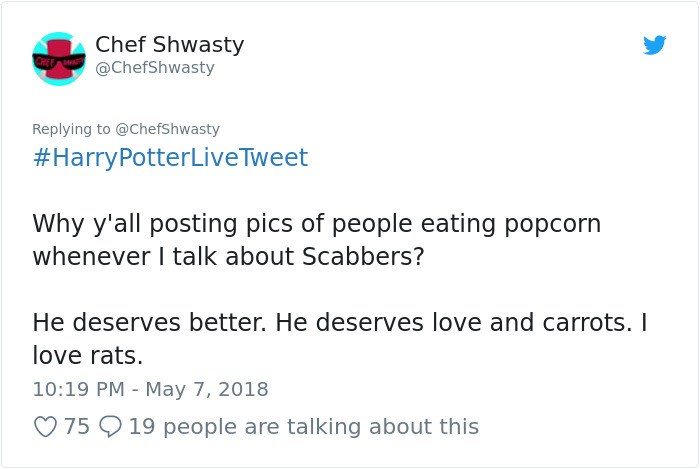 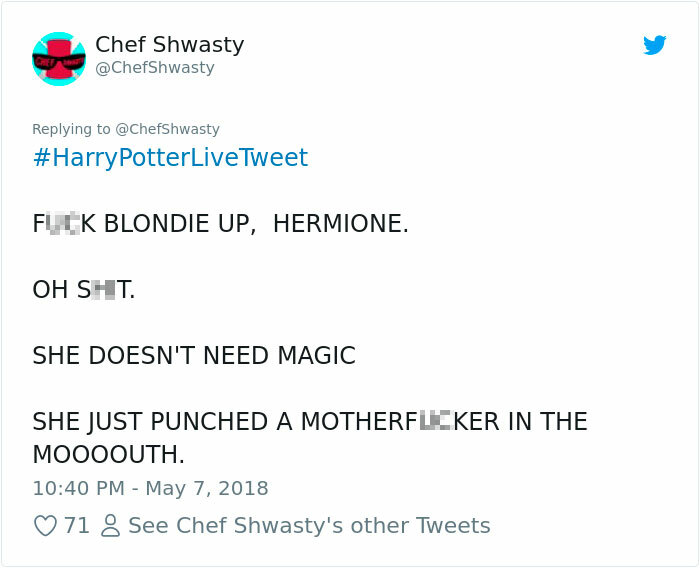 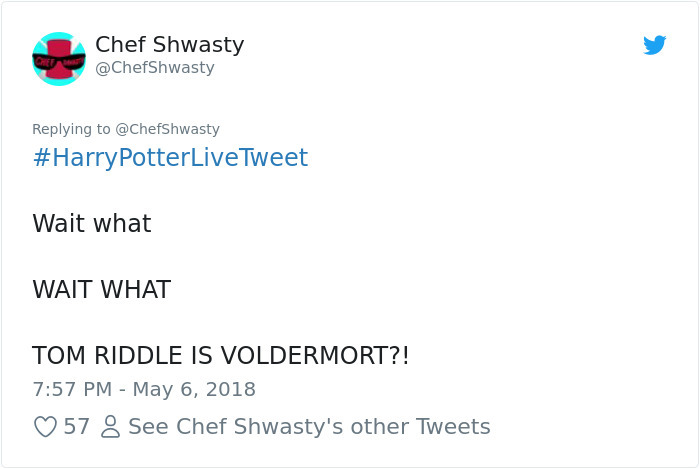 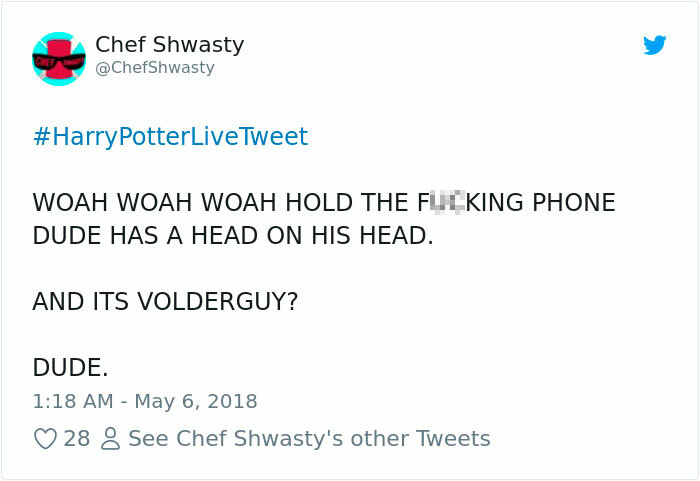 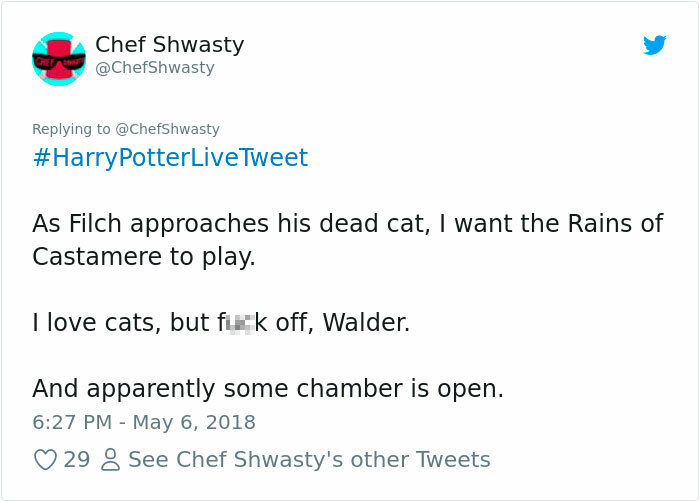 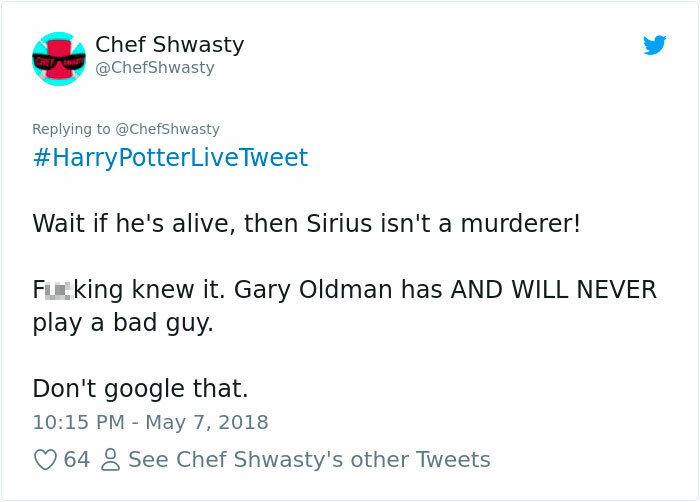 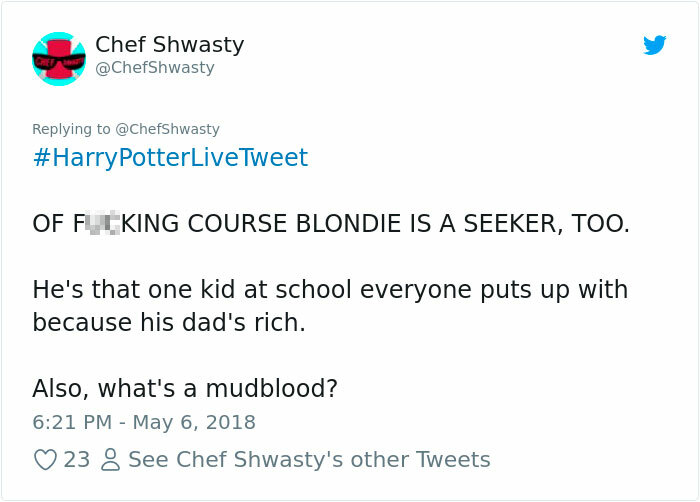 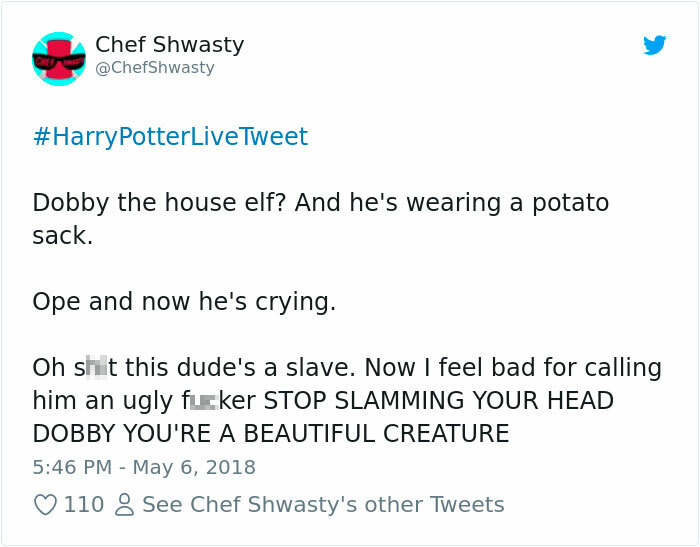 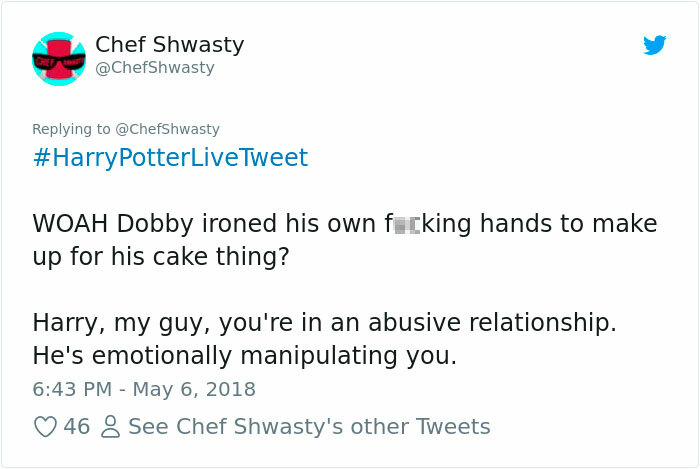 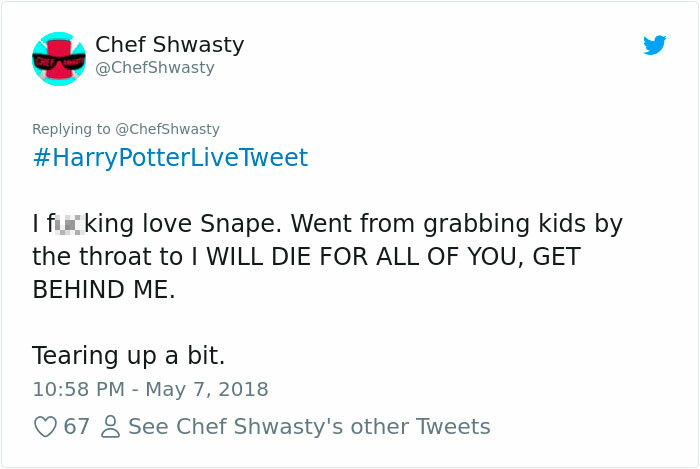 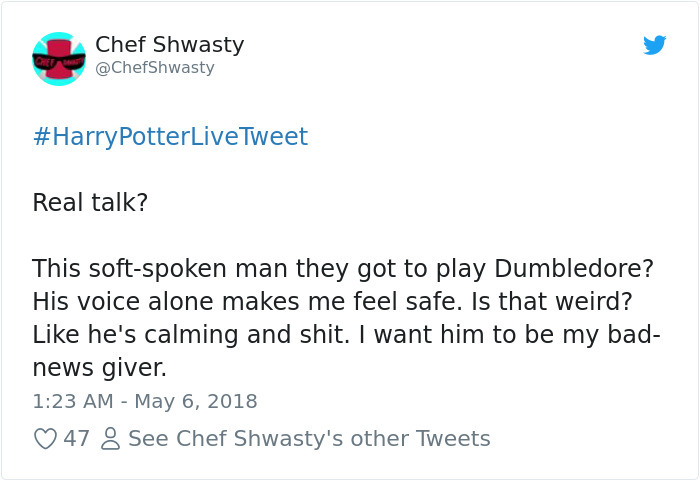 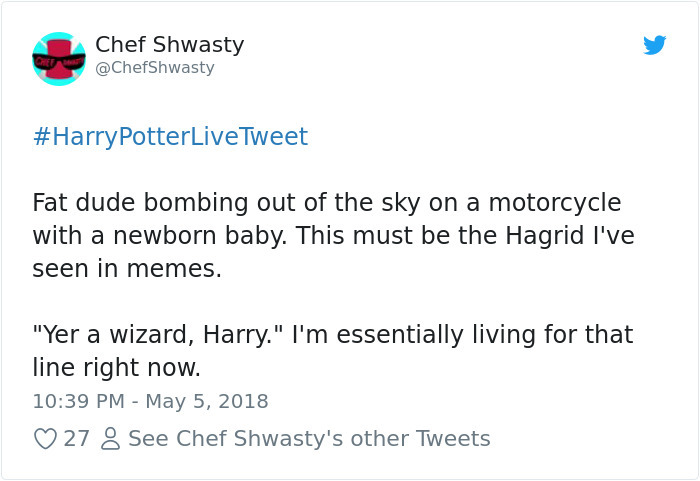 Scroll down below and read the Twitter feed that had us all in stitches and let’s hope Chef beats pneumonia and gets back to full health by the time he finishes the “Deathly Hallows”. 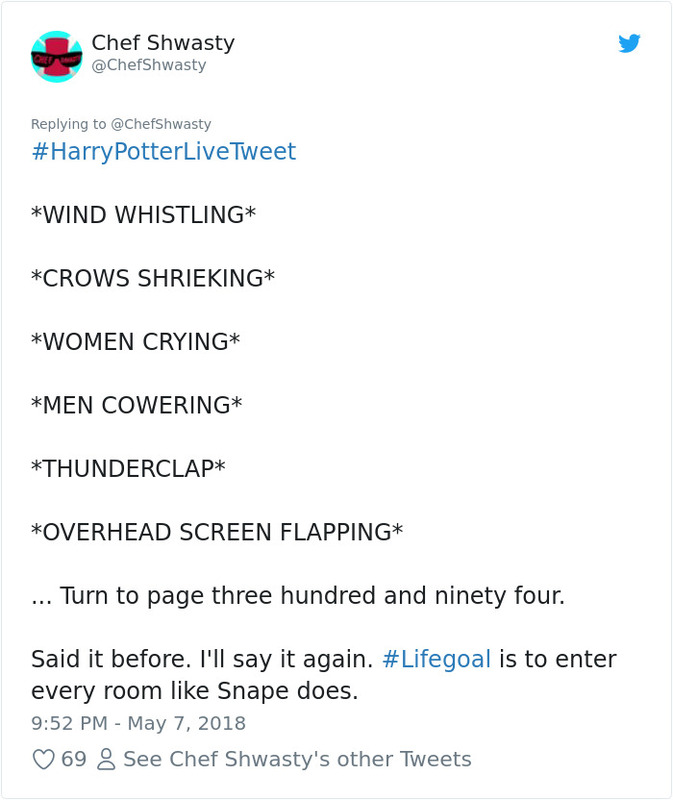 And, oh, no spoilers!